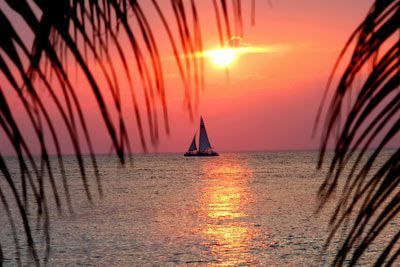 For beauty, beaches, and Mexican sunshine, there’s nowhere like Cozumel. Brilliant emerald water, white sand beaches, spectacular scuba diving and fishing—plus bargain prices, ancient ruins, and friendly hosts—all in a relaxed, no hustle atmosphere. 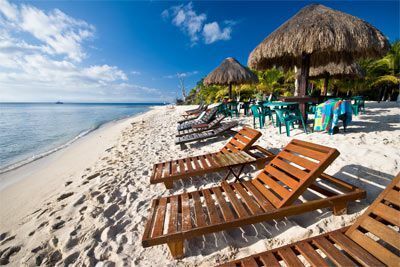 Cozumel is famous as a diver’s resort, but its laid-back pace, barefoot charm, and magnificent beaches hold something for everyone. Cozumel is rated as one of the top ten sportfishing “hotspots” in the world. 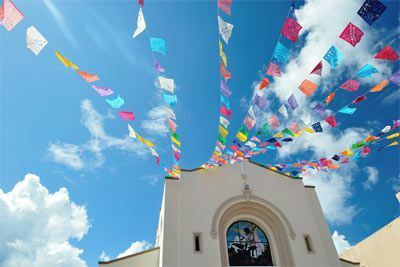 Cozumel offers the best shopping in the Yucatan for craft items, leather, hammocks, clothing, and jewelry items. You will enjoy the hassle-free shops and boutiques. 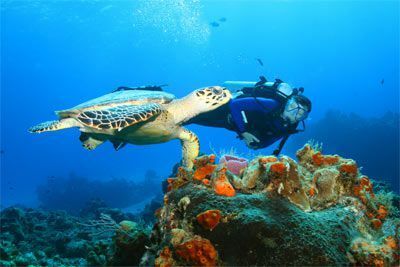 For the diver, or those wishing to take up this fascinating sport, Cozumel offers the ultimate in Caribbean diving. There is an unmatched assortment of spectacular reefs, tunnels, cliffs, coral of every description, and sea life beyond compare. Occidental Cozumel is a unique resort, masquerading as a Mexican hacienda. A trip to this idyllic island in the Mexican Caribbean, only 45 minutes by ferry from Playa del Carmen, is something that you should do at least once in your lifetime. This all-inclusive resort is perfectly integrated in its natural surroundings of mangroves, white sand beaches and tropical gardens, offering guests an unparalleled experience. Since Occidental Cozumel is located close to the beautiful Palancar Reef, one of the top 5 scuba destinations in the world, the resort is prepared to provide diving enthusiasts with everything they need and also offers a wide range of other sports such as kayaking, sailing, snorkeling and water polo. 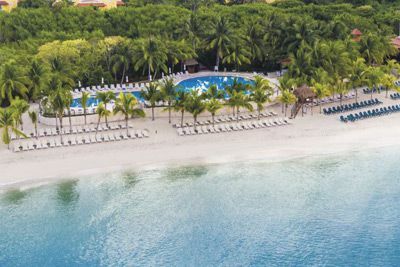 And if that’s not enough, the Occidental Cozumel offers 3 pools, a spa, kids club, playground, gym, beach club and 7 restaurants. Get sporty on two tennis courts, or join in on volleyball, water aerobics, water polo or a scuba diving demonstration. Four bars and a nightclub with a DJ provide the ideal place to enjoy a pleasant evening, have a cocktail or dance to the rhythm of Caribbean music. 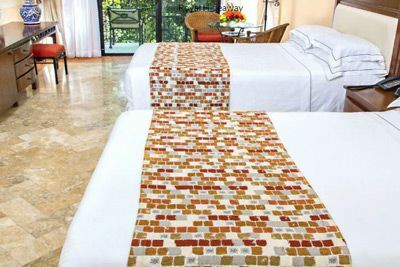 The Occidental Cozumel hotel features a full spa with many personalized treatments as well as a sauna and hot tubs. The beauty salon offers all the services you need to be radiant while on vacation. Deluxe rooms are approximately 420 square feet and are located between floors 1 and 3, with 2 double beds or a king-size bed (based on hotel availability), featuring a bathroom with shower and separate bath tub, minibar (soda, beer and water), coffee maker, hair dryer, iron/board, safe, alarm clock/stereo with iDock, wi-fi access (fee applies), terrace or balcony and more. 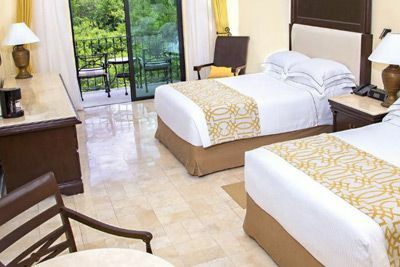 Royal Level Luxury rooms are 420 square feet and offer a boutique hotel feeling within the Occidental Cozumel for those who prefer exclusive services and facilities. Royal Level Luxury rooms are located on the first and second floors, and have an extra touch of distinction with their exclusive Royal Level status. Enjoy all the amenities of a deluxe room, plus complimentary Wi-Fi access (only in the Royal Level area), welcome fruit basket, shoeshine kit, full bathroom with hydromassage bathtub, robe and slippers, turndown service, private reception desk with business center, Concierge service, access to the swimming pool with hydromassage, Free 24-hour room service (no extra charge), preferential bookings at specialty restaurants and La Carreta restaurant, exclusive of the Royal Level and more. $100 February 5, 2020 to March 6, 2020. No refund after March 6, 2020; however, 50% of tuition paid may be applied toward tuition for another NWS program within the next 12 months. Cancellation must be made in writing.